TV East in Denmark chooses LiveU video transmission system. 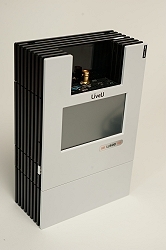 Hackensack, NJ, December, 2015: LiveU has announced that Danish broadcaster TV East has deployed a range of its technology to enhance its newsgathering operations. The deal was overseen by LiveU’s Danish partner Avit. Based in Southern Zealand, TV East is one of eight regional broadcasters in the country and is fully license fee-funded, having separated commercially from national broadcaster TV2. Some of its content is still broadcast during regional opt-outs in the TV2 schedule, though TV East is a 24/7/365 operation in its own right. As well as news programming, it also concentrates on a variety of magazine formats. The broadcaster’s news shows can be viewed on DTT and cable as well as via the regional slot on TV2, which also has satellite coverage. Increasingly, content is viewed online. TV East is using three LiveU LU500 backpack units as well as an Xtender remote antenna solution. LiveU’s Xtender increases network reception, providing additional resiliency for live video transmission in extreme scenarios, such as heavily crowded areas, and can be vehicle or tripod-mounted. LiveU’s Central management platform has also been deployed for easy preview and remote control. The broadcaster has taken delivery of two Panasonic PX270 cameras with integrated LiveU software. This allows LiveU Central remote camera control capabilities and also streaming directly from the camera, to provide additional options in the field. TV East uses the technology for a wide variety of applications, including up to ten minutes of live content (from up to three LU500s) during daily news shows as well as for a weekly 30-minute live transmission of its culture show. Content has been broadcast live from ships and helicopters on more than one occasion. TV East has also had several two-five hour transmissions from different various sporting and cultural events using multiple LU500s to transmit to the TV station, where the programme is produced and aired live.